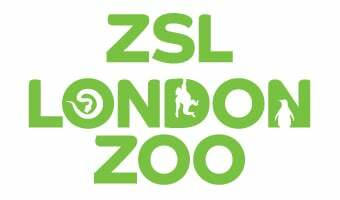 Here at ZSL London Zoo we are continuously striving to improve the experiences of future guests. Below you can leave your own feedback, or simply view feedback from past clients. We just wanted to say thanks to you and everyone for the wonderful organization yesterday. We got many compliments on the venue and the food. Also many thanks to the staff for coming back to help us out with the gifts etc. It was very much appreciated. We wanted to say thank you for all of your hard work and help to make the day so special and successful. We had a fantastic time and all of our guests did too. Everyone commented on how great the venue was, the quality of the food and the service. I am writing to thank you and your team for hosting our recent Director General Awards ceremony on 4th July 2018. Like myself, guests were impressed by the venue and also being given the opportunity to expore the zoo before the ceremony began. I am also grateful to your wider team who provided refreshments on a regular and timely basis ensuring that guests were well looked after. Without this, the day would not have operated in the smooth manner that it did. Thank you so much for yesterday, everyone really enjoyed it and your team were all fantastic. The keeper that brought along the armadillo was also very knowledgeable and we all enjoyed learning from her. I'm sure we'll be back again at some point for another event. I write to express deepest thanks from myself, the Master and the Clerk to you for arranging a really splendid evening for the Gold and Silver Wyre Drawers on Saturday. Please pass our thanks on to your team who on the night all performed their duties exceptionally well. The service was exemplary and the food was just as good as it was when we had out tasting - especially the souffles! One of the members of the Livery is herself a caterer and she was full of praise for everything. We all enjoyed ourselves immensely and would be very happy to recommend your events service at the Zoo to anyne who wanted an exceptional evening. Just to say, thank you very much indeed for making yesterday's event a success. The team really enjoyed the day and we have received great feedback. The location was perfect for what we were looking for and the weather was even on our side in the afternoon! Please also pass on thanks to your colleagues who were very helpful and responded to any additional requests we had.